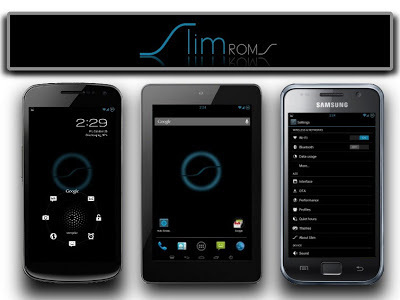 SlimBean ROM featuring Android 4.2.2 Jelly Bean released for several Android powered devices. The SlimROMs team has officially announced the release of SlimBean 4.2.2 Build 1 custom ROM featuring several improvements and customisations. The custom build brings Android 4.2.2 (Jelly Bean) update which Google has rolled out for its Nexus devices. Added Kill App/Expanded Notification shade/Toggle expanded desktop to hardware binds. Head over to the development page to learn more about the device specific issues. One such SlimBean ROM is available for the internal version of the first generation Galaxy Note with model number N7000 which is running on Android 4.1.2 Jelly Bean. Galaxy Note users who are looking to update their devices with the SlimBean Android 4.2.2 Jelly Bean ROM may follow our step-by-step guide below. IBTimes UK reminds its readers that it will not be held liable for any damage to the device. Users are advised to verify the model number of their devices before proceeding since the Jelly Bean ROM works only on the Samsung Galaxy Note N7000. 1) Install USB Drivers for Galaxy Note on the computer. 3) Back up all data of the phone. If the device is having a custom recovery installed, then create a backup for the same. 4) Verify that the battery of the Note should be charged above 80 per cent. 6) The Galaxy Note should be rooted and have ClockworkMod recovery installed. 7) Perform a Dalvik Cache wipe before proceeding from the recovery mode. Samsung Galaxy Note N7000 should now be updated with SlimBean Android 4.2.2 Jelly Bean custom ROM. Navigate to Settings>> About Phone to verify the software version of the device. 0 Respones to "How to Update Galaxy Note N7000 to Android 4.2.2 Jelly Bean via SlimBean Build 1 ROM [GUIDE]"